You don’t have to be rich to turn your bathroom into your favorite room in your house. 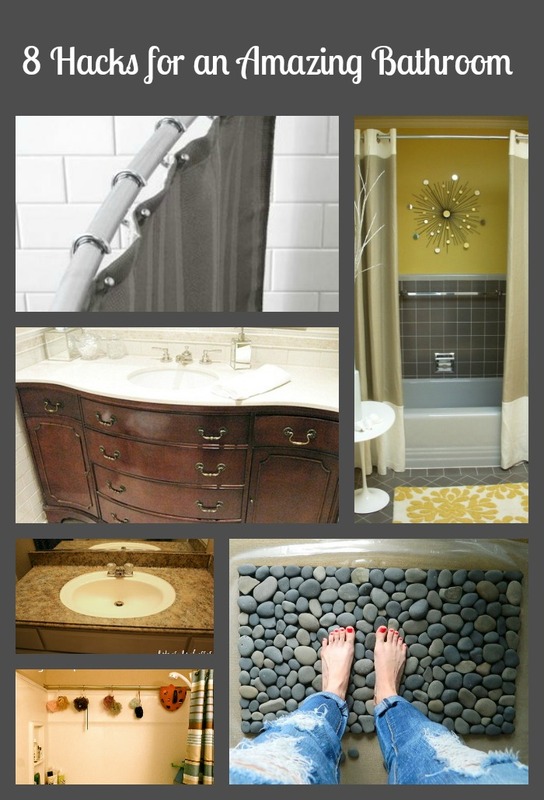 If a total bathroom remodel isn’t in the budget right now, check out these cheap bathroom hacks that will surely have you singing a happy tune in the shower! Shower feeling a bit cramped? Replacing your standard shower curtain rod with a curved one gives you some elbow room and makes your shower feel roomier without actually taking up any additional space in your bathroom. The most basic, boring bathtub looks grander with two shower curtains instead of one. 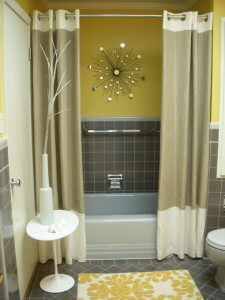 For small bathtubs and tub/shower combos in small bathrooms, cut a single curtain in half and hem the edges. 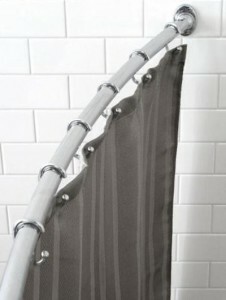 Install a second shower road on the back wall of your shower, and add some hooks for additional storage space. 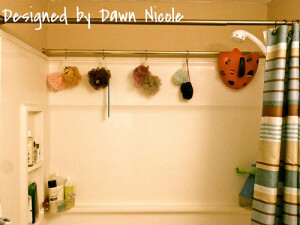 Use the hooks to hang baskets, loofahs and more. With an outdoor rubber mat with drainage holes, waterproof sealer and smooth stones from the dollar store, you can make a DIY pebble mat that will transform your bathroom into a natural oasis. A cheap dresser from the flea market or one that you’ve had sitting in storage can be transformed into a beautiful and functional vanity. Learn how here. 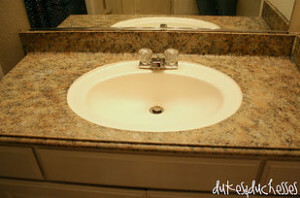 Did you know that you can transform your plain countertops with an easy-to-use granite paint kit? Countertop paint kits come with everything you need to beautify ugly and outdated countertops at a fraction of the price of upgrading to the real thing. 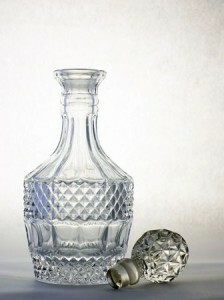 Ditch the plastic bottles, and pour mouthwash, hair products and cleansers into attractive glass or crystal containers. Whether you opt for crystal decanters or you go for something a bit more budget friendly like upcycled glass beverage bottles, this simple trick adds a bit of luxury to any bathroom. 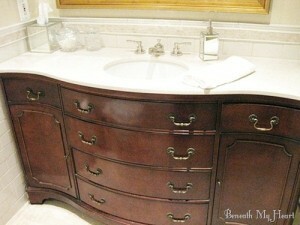 Remodeling your bathroom doesn’t have to cost a fortune and leave you with a dismantled bathroom for days on end. 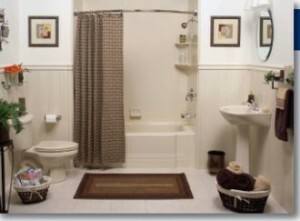 At Larry & Sons, we are proud to affordable one-day bathroom remodeling using Bath Panel products. If you’re in the Hagerstown area and you’re tired of your old, outdated bathroom, call Larry & Sons at 301-733-5428 to learn more about bathroom remodeling.